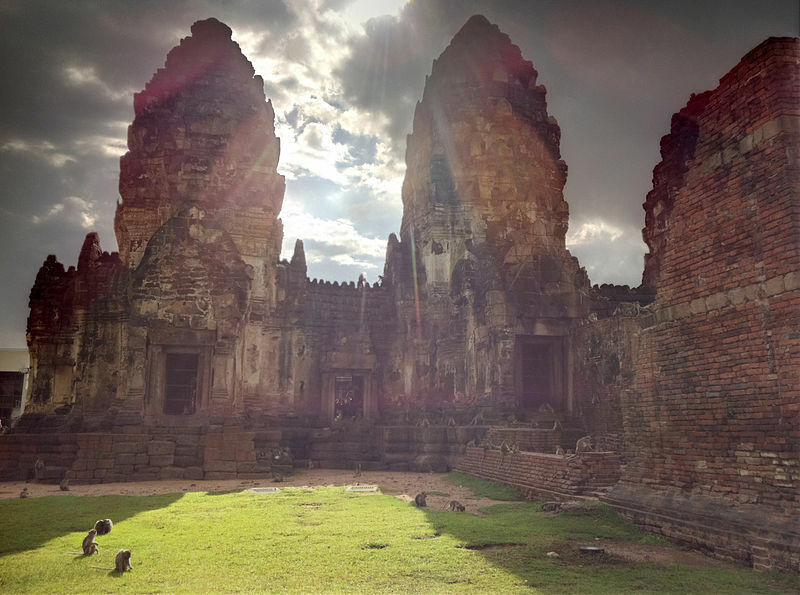 An easy day trip out of Bangkok is the two and half hour, 100-mile (150km), train ride to the Monkey Temple in the town of Lopburi. Legend has it the temple was founded by a fallen arrow of Hanuman, the Hindu Monkey God. The animal kingdom hierarchy is reversed here as the temple gives the monkeys free roam and food. Often novelty turns into nervousness as visitors are followed by crowds of the impolite inhabitants. Visitors can buy packs of sunflower seeds for THB 10 to feed the monkeys, but keep watch of loose items like glasses, purses, and especially food as the monkeys are keen pickpockets and they bite. November is the Monkey Festival in Lopburi but it is interesting to visit year-round. Address: Lopburi, 93 miles (150km) north-east of Bangkok.